And yes, Hamill is aware that the Knights Templar — the group he’s entering for the Tom Cullen-led drama — were part of what inspired George Lucas’ Jedi — a group he’s all too familiar with due to his decades of playing Luke Skywalker in the franchise. “Not until after I accepted. I didn’t really think it through,” Hamill joked. 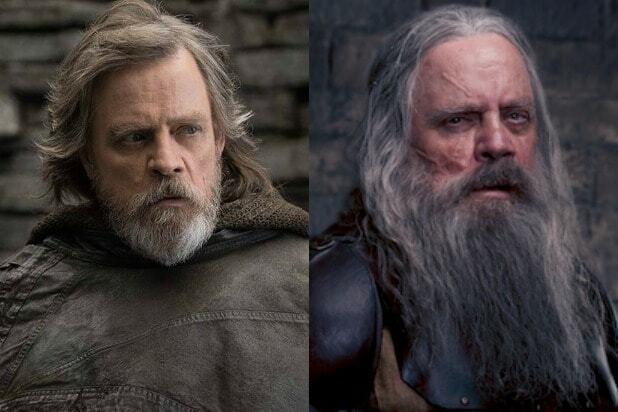 Hamill last reprised the role of Luke Skywalker for 2017’s “Star Wars: The Last Jedi,” a film in which Luke appeared to meet his end — and Hamill has been super cagey about his status with “Star Wars: Episode IX” ever since. On Season 2 of “Knightfall,” Hamill plays Knight Templar vet Talus, who he describes as “basically the equivalent of a medieval drill sergeant.” You can see him in action for the first time in the trailer here. “Knightfall” Season 2 premieres Monday, March 25 at 10/9c on History.